Description: “This River is hard to Cross. If I can keep my Head above Water, however, a little longer, some of my Foreign Friends will recognize me and lend a hand. Meantime, I can go neither Forward not Backward. 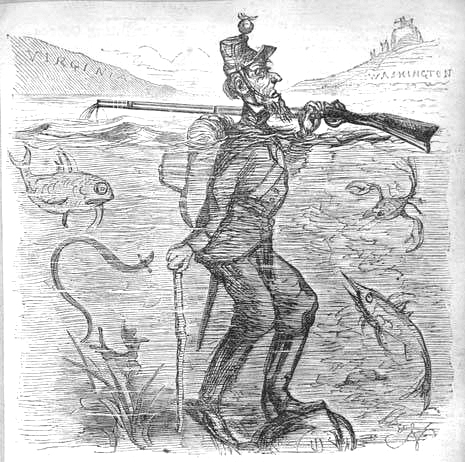 An old soldier walks across the Potomac River with just his head above the water line. The prevailing hope in the Confederacy early in the war was of Britain and France coming to the aid of the South.